Click on the pretty pictures for more info. The new and awesome Safety Third Enterprises brings I Am a Cloud by Matt DeBenedictis. 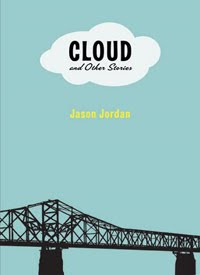 Six Gallery Press brings Jason Jordan's Cloud & Other Stories. 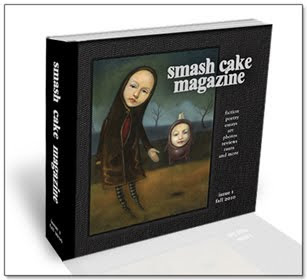 Smash Cake Magazine brings its premiere issue(the magazine ships in fall, 2010). Thanks, Mel! Looks like Matt B. is stealing my thunder...or am I stealing his?!?!!!??? do i smell a collaboration in the future???? Hey, thanks! Ironically, I was strolling through to pull the address for a post in which I heap praise upon the Mel. Funny. Thx again, love the pimpage.